For the last 3 years, thanks in part to my fear of flying, thanks in part to the birth of my first born, the furthest afield my family and I had travelled was the 4 hour plane ride to Turkey. And I’d been very happy with that thank you, because and lets be honest here, what nutter would want to take a small child on a plane for longer than 4 hours?! Now, I’d already fallen for the country many years back, when at 19, I packed my bags to embark on a 3-month Spanish course, and I have to say, Costa Rica really is one county that lives up to it’s hype. But the idea of a month travelling with a 3 year old and 9 month old, across a country that is basically one big tropical jungle with some rainforests and volcano’s in between, wasn’t conjuring up the most relaxing of images. Then there was the small hurdle of a long haul flight to consider, made even less appealing following the full on break down I experienced during my last flight at the high of my postnatal anxiety. Nonetheless, a few Google searches on ‘how to over come fear of flying’ (plus some intense hypnotherapy sessions) and I am booking direct tickets with BA, leaving mid April and returning exactly one month later. What can I say? Its Costa Rica. Like hell I was going to let a little thing like kids or fear of flying stop me! Brave? Perhaps. Nuts? Totally. But despite the 11-hour plane journey, long car trips across rocky terrain, giant bugs and torrential downpours, not only did we survive traveling Costa Rica with young kids; we had a marvelous time doing it. For Costa Rica really is small child’s paradise. A place of iguanas’ and geckos, where monkeys swing through trees at breakfast and rock pools are bigger than swimming pools. A place of exploration and discovery, of never to be forgot magical adventures. A place where you can feel secure in the knowledge that you are in one of the safest and most child friendly countries in the world (Costa Rica Abolished it’ army in 1948 and hasn’t looked back). So for those of you who are as nuts as we are and ready for your next big family adventure, here it is Costa Rica; The Essential Baby & Toddler Travel Guide . Fly Direct. When I first visited Costa Rica 12 years ago, direct flights weren’t an option and I had to endure a long stop over in Miami, not ideal with little ones, especially when considering just the airtime is 11 hours. Thankfully British Airways realised they were missing a ticket and last year started offering direct flights from London Gatwick to San Jose, Costa Rica. Pack A Surprise Back Pack. In order to keep my 3 year old entertained on the 11 hour flight, I bought him a small back pack and filled it with surprise toys, colouring books and crayons that he had never seen before. Not only was he entertained for the entire flight but his new toys kept him busy for the rest of the trip. Bring A Supply Of Baby Food. If your little one is weaning or still on formula be sure to bring a supply out with you. Not only are most of the local brands packed with added sugar but they are also 3 times the price. Luckily since my youngest has food allergies, I’d come pre-prepared with an entire suitcase full of food and only ran out by the last week of our trip, when our wallets then took a real battering. Don’t forget the mosquito net. As I said earlier, Costa Rica is pretty much one big awe inspiring jungle but the jungle also comes with bugs, and lots of them. Which is not so good where young children are concerned. \Yet don’t let this deter you; a good travel mosiqto net and ample bug spray should keep the little mites at bay. I loved the Jungle Formula Mosquito Killer Plug-In insect Repellent, which you simply plug in to the wall approximately two hours before you go to bed to insure a bite free night. Sun Protection. It may be an obvious one but no guide is complete without it. Sun hats and swimwear with SPF50 will help keep little one protected. I picked ours up from Soft Gallery, who each season collaborate with local and international artists to create an individual range of fun and unique clothing for kids. For high factor sun cream my go to brand has always been La Roche Posay however I have recently discovered the brilliant Biodermas Photoderm Kid Mousse . Foaming up on application, the mousse quickly covers and protect little ones skins, sinking in almost immediately to ensure no uncomfortable stickiness. It’s All About The Tupper Wear. To say that Cost Rica has a little bit of an ant problem, is more than a little bit of an understatement. To keep the ants at bay, make sure you store all your formula, baby food and even bottles in a Tupper wear container or you might have a nasty shock when you get up to make that morning bottle of milk. The Travel Cot. If you’re air b&b'ing it or traveling around Costa Rica then a really great travel cot is a must. We took our Baby Bjorn Travel Cot Light and it was a real lifesaver. 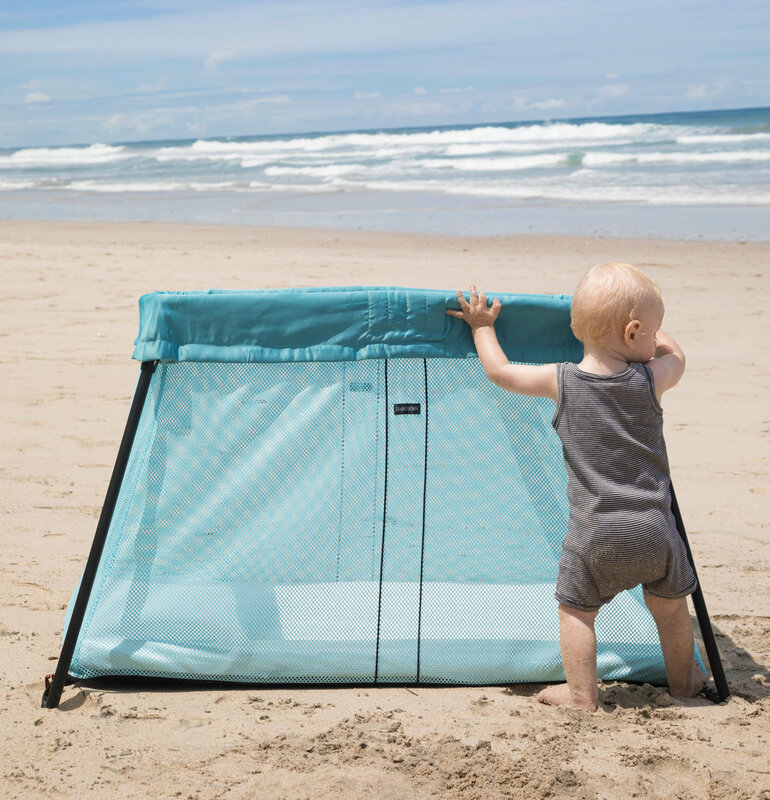 Not only is it super light weight, easy to put up and pack away, it’s suitable from birth until 3 years of age, so you can feel happy in the knowledge that your getting bang for your buck. I also find the consistency of keeping them in the same cot no matter where we are, creates a sense of familiarity and security, making settling in a new place that much easier. 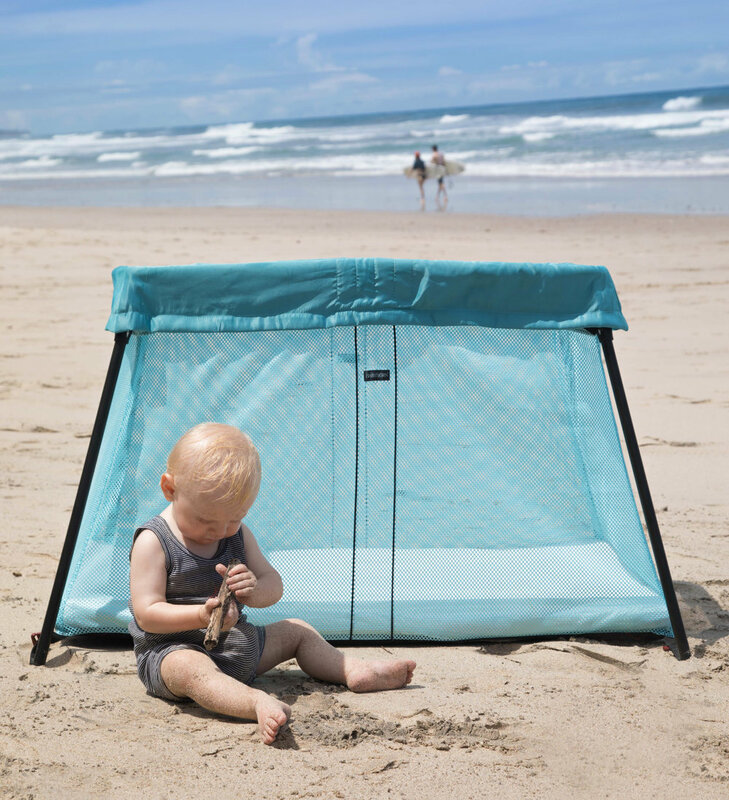 To encourage you on your next family adventure I have one Baby Bjorn Travel Cot Light in Light Blue (see image above) to give away. For your chance to win, simply head over to Instagram and follow @editorsbeauty . Next on the image featuring the Baby Bjorn Travel Cot Light, tag in one friend and tell me where you would like to visit on your next family adventure. Competition ends next Wednesday the 14th of June and the winner shall be announced the same day.